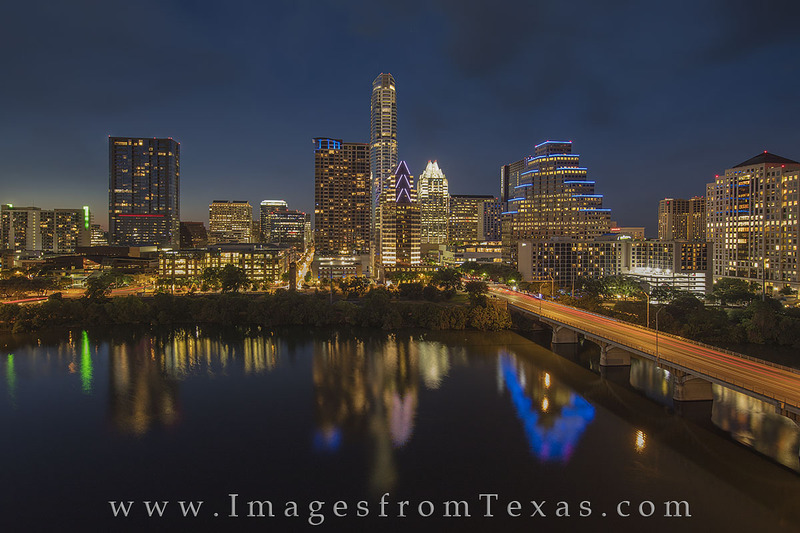 The skyline of Austin, Texas, glows in the evening. This Austin image comes from the top of the Hyatt and shows Congress Bridge and Avenue as it crosses Lady Bird lake and heads north into the downtown area. Iconic high rises such as the Frost Tower, the Ashton, 100 Congress, and the Austonian add beauty to the evening cityscape. Photo © copyright by Rob Greebon.